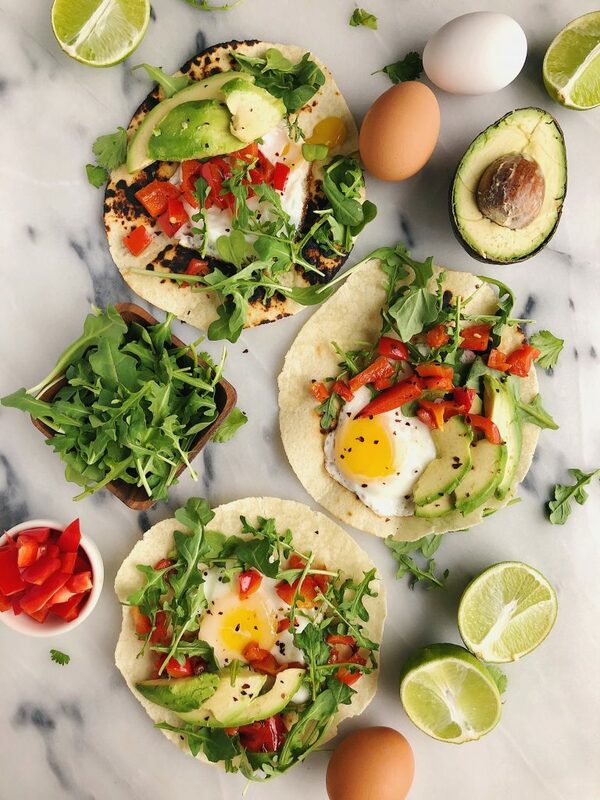 How to Make the Best Breakfast Tacos with fried eggs for really anytime of the day! If you follow along on Instagram, you know breakfast tacos are my thing. The thing I eat at least 5x a week and usually I don’t even eat them for breakfast! I love having egg tacos for lunch or dinner and they always hit the spot. When people ask me how I enjoy eating eggs the most, I always tell them I make the most epic breakfast tacos using them. I can’t really take full credit for my egg taco love affair though because Jordan is the real egg master. He taught me everything I know about the basics of frying a perfectly yolk-able egg. Whenever we don’t have set dinner plans and don’t know what to make we always just look at each other and go “breakfast tacos?”. They always hit the spot, every single time. 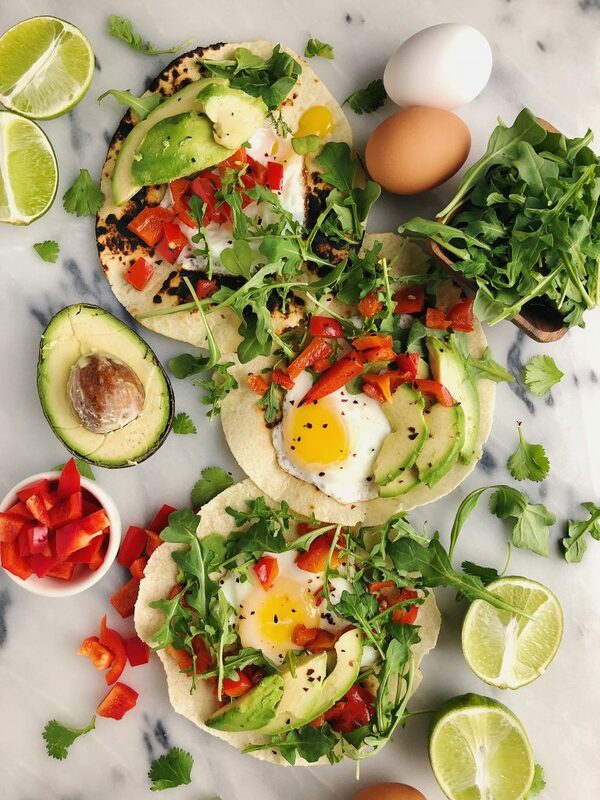 You can get so creative with your eggs when you make breakfast tacos. You can do a soft scramble, fry them, poach the eggs or even make an omelet to add on top. So many ways to prepare them and opportunities to think outside the box a bit. And the best part? Each time they are still just as nutritious for you. One large egg are is a nutritional powerhouse with over 6 grams of protein and nine essential amino acids! And I always eat the yolk. Egg yolks houses most of the nutrients that eggs provide like vitamin D, B12, selenium and over 40% of the protein. I also love how they are affordable high-quality protein that you can keep in the fridge at any time. Such a staple over here! The American Egg Board, the marketing arm for U.S egg farmers, is asking us (yes, you and me!) “how do you like your eggs?”. 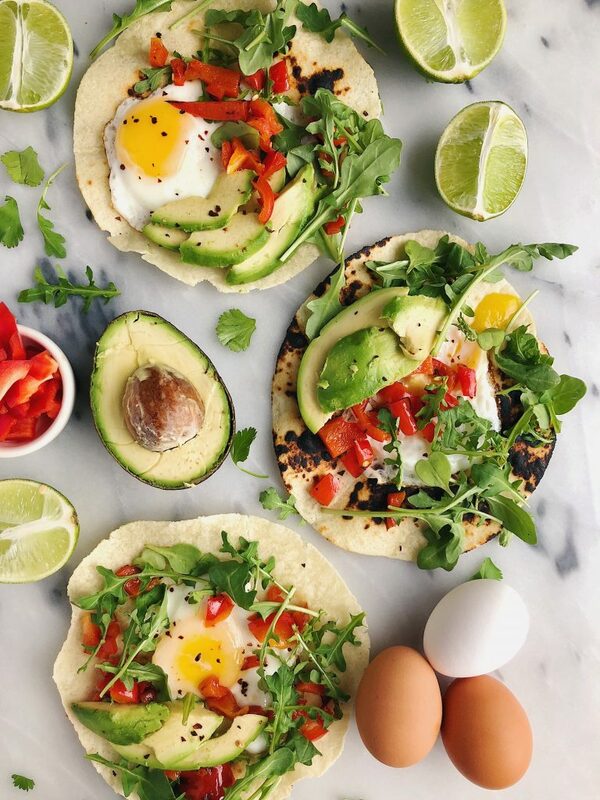 They are providing so many delicious ways to eat eggs on their site and on their social channels (Facebook, Twitter and Instagram). The longer you let it cook, the crunchier it will be so if you prefer to fold your taco and hold it, heat for only 1-2 minutes total! 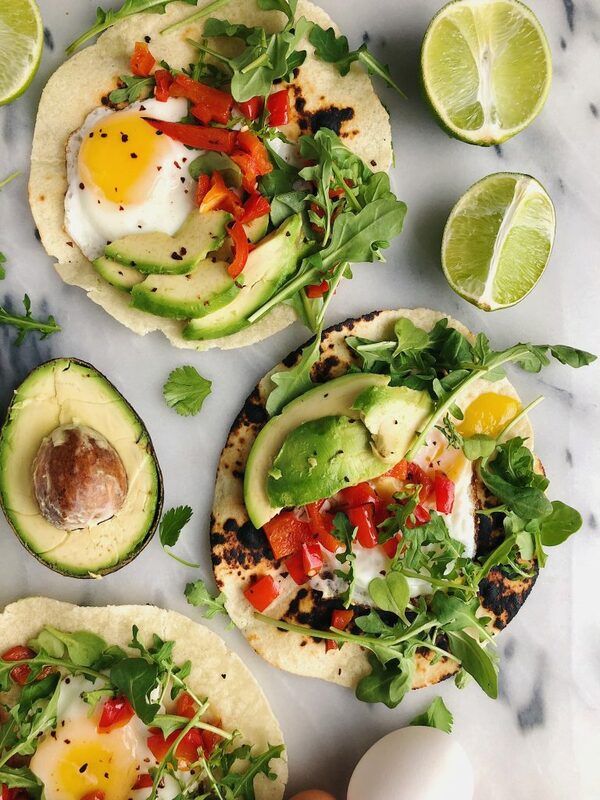 Top each tortilla with peppers, arugula, avocado and eggs! Some goat cheese or feta is also very delicious to add! I am confused – is the serving size 1 or 3 tacos? Thanks! depends how hungry you are. i eat 2-3!